AC/DC engineer Mike Fraser has confirmed the band have been in the studio working on a project. 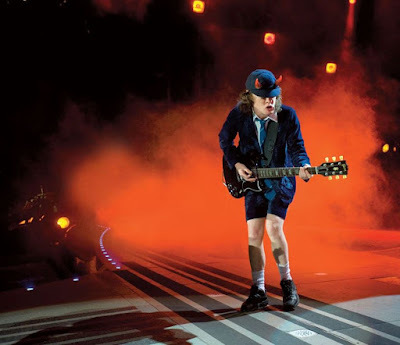 The veteran Canadian producer, engineer and mixer was spotted with band members – including Brian Johnson – last summer at a Vancouver recording studio as rumors surfaced about a possible new album that may feature unused recordings by late guitarist and band cofounder Malcolm Young, who passed away in 2017 at the age of 64. In a recent interview with Australia’s Tony "Jack The Bear" Mantz, Fraser coyly admitted that he and the group had been working together. "Umm... Well, yeah, I could say that we've been in the studio doing something,” explained Fraser on the Mastering Music Mastering Life podcast. “What's come of that I can't discuss yet, but uh..."
"With Brian singing?" asked Mantz. "I think so," replied Fraser, laughing. The Royal Australian Mint marked AC/DC’s 45th anniversary last year with a new series of coins. AC/DC were named the No. 1 Rock News Artist Of The Year while delivering the No. 9 Rock News Story Of The Year as part of the 2018 hennemusic Rock News Awards.